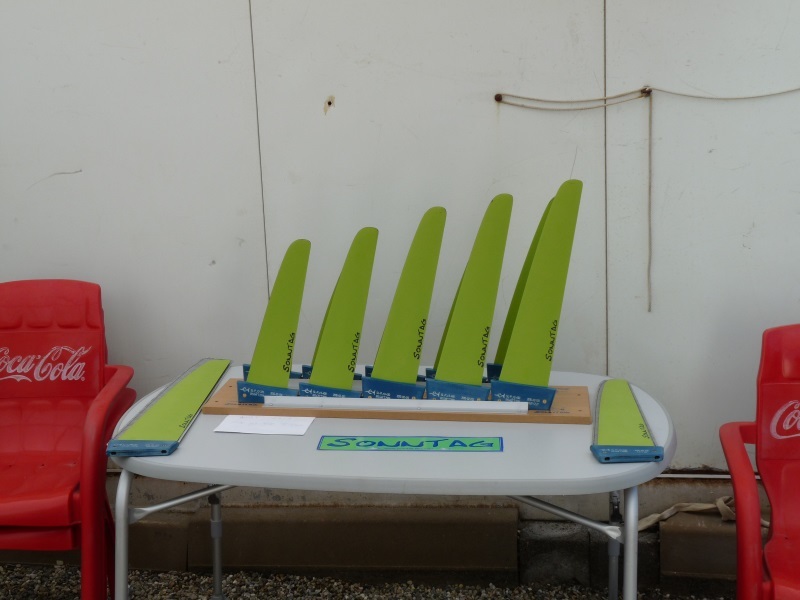 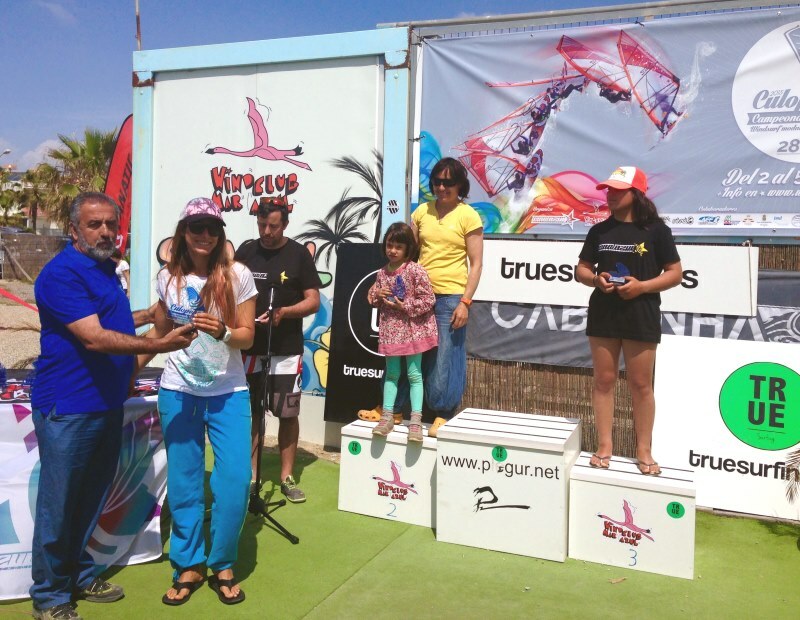 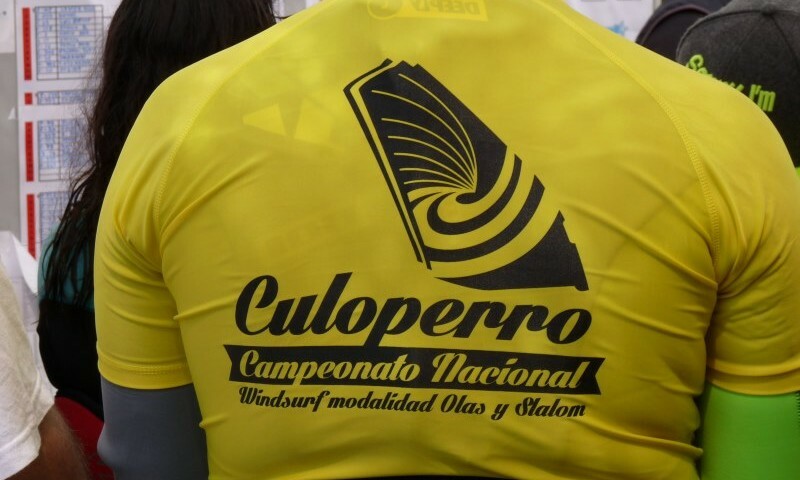 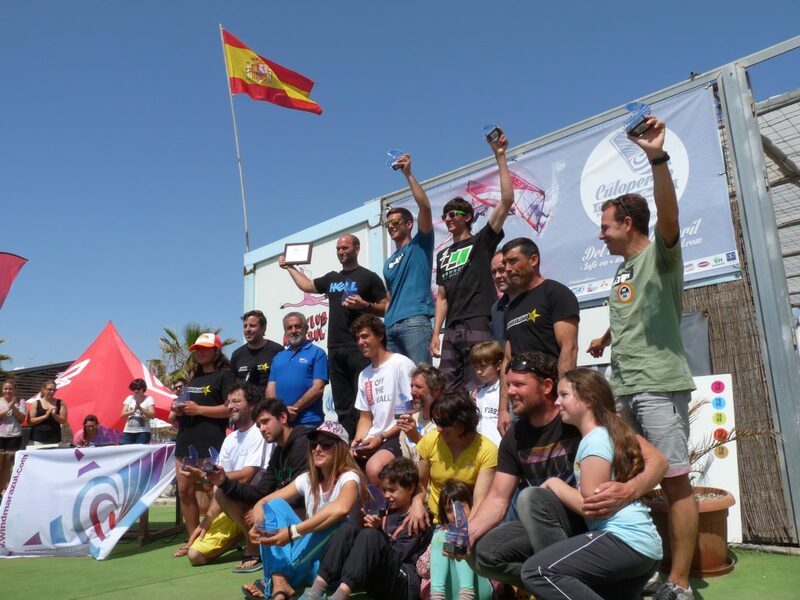 This year we went to South of Spain joining the CEF ALMERIA / CULOPERRO windsurfing event. 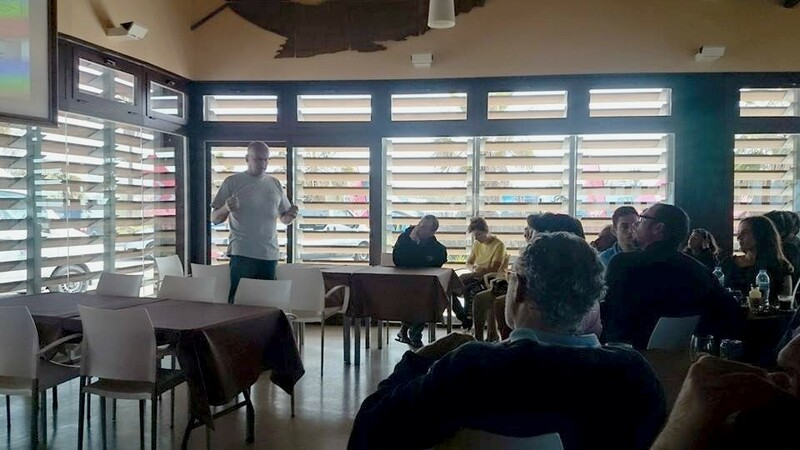 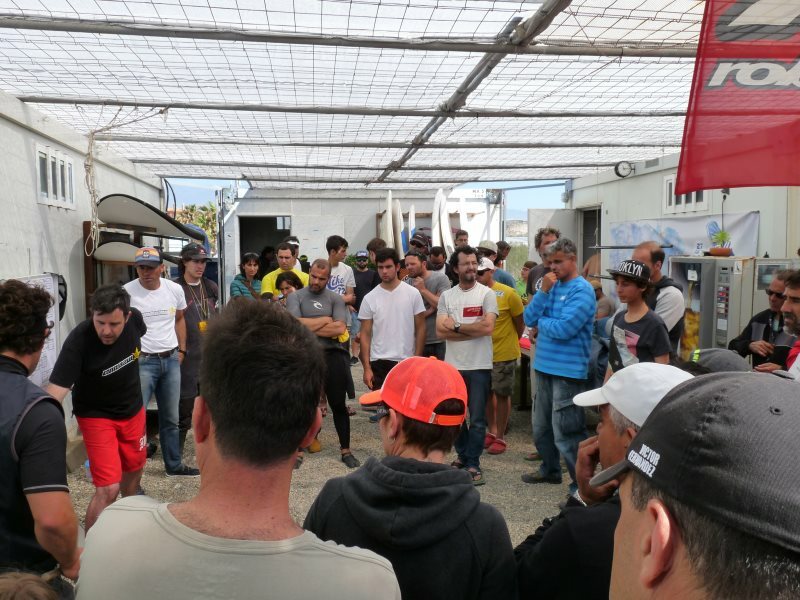 This event is the first run to the Spanish Nationals carried out in Almerimar at the location and organization&support of the Windsurf Club Mar Azul. The location is quite nice with direct access to the beach and good infrastructure. 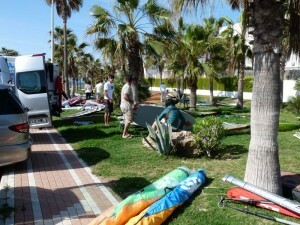 Rigging under palms is always nice! We did a FIN CLINIC for the event participants in the Bar/Restaurant “La Tavernetta” very close to the windsurf club. 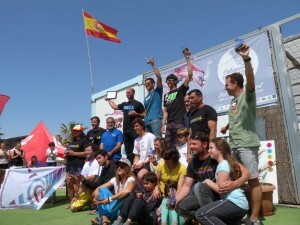 The men’s slalom event was won by Pablo Ania followed by Fernando Martínez and Marc Paré. Maria Andrés won the women’s competition.